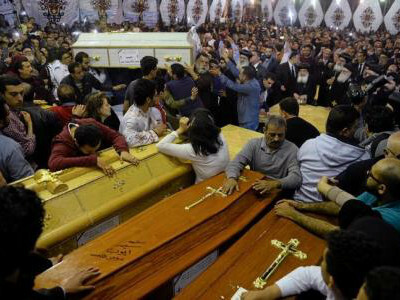 Gunmen killed 23 Coptic Christians and wounded 25 others on Friday as they were driving to a monastery in Minya province, south of Cairo, the provincial governor, Essam al-Bedaiwy, said. The group was travelling in two buses and a truck through the province, which is home to a sizeable Christian minority, he said. Those attacks were claimed by Islamic State. There was no immediate claim of responsibility for Friday’s attack.